In an effort to avoid the biannual clock switch in spring and fall, some well-intended critics of DST have made the mistake of suggesting that the abolition of DST – and a return to permanent standard time – would benefit society. In other words, the U.S. would never "spring forward" or "fall back." They are wrong. DST saves lives and energy and prevents crime. Not surprisingly, then, politicians in Washington, California and Florida are now proposing to move to DST year-round. Congress should seize on this momentum to move the entire country to year-round DST. In other words, turn all clocks forward permanently. If it did so, I see five ways that Americans' lives would immediately improve. Simply put, darkness kills – and darkness in the evening is far deadlier than darkness in the morning. 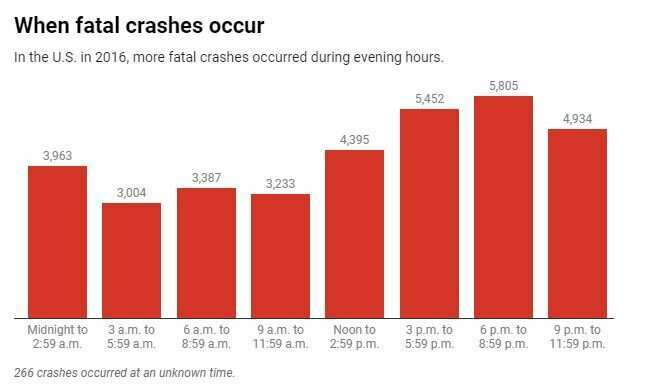 The evening rush hour is twice as fatal as the morning for various reasons: Far more people are on the road, more alcohol is in drivers' bloodstreams, people are hurrying to get home and more children are enjoying outdoor, unsupervised play. Fatal vehicle-on-pedestrian crashes increase threefold when the sun goes down. DST brings an extra hour of sunlight into the evening to mitigate those risks. Standard time has precisely the opposite impact, by moving sunlight into the morning. A meta-study by Rutgers researchers demonstrated that 343 lives per year could be saved by moving to year-round DST. The opposite effect would occur if the U.S. imposed year-round standard time. Darkness is also a friend of crime. Moving sunlight into the evening hours has a far greater impact on the prevention of crime than it does in the morning. This is especially true for crimes by juveniles, which peak in the after-school and early evening hours. Criminals strongly prefer to do their work in the darkness of evening and night. 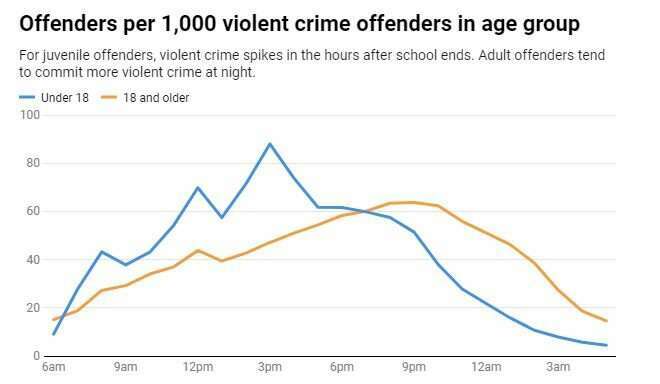 Crime rates are lower by 30 percent in the morning to afternoon hours, even when those morning hours occur before sunrise, when it's still dark. A 2013 British study found that improved lighting in the evening hours could reduce the crime rate by up to 20 percent. Many people don't know that the original justification for the creation of DST was to save energy, initially during World War I and II and then later during the 1973 OPEC oil crisis. When the sun is out later in the evening, peak energy loads are reduced. Virtually everyone in our society is awake and using energy in the early evening hours when the sun sets. But a considerable portion of the population is still asleep at sunrise, resulting in significantly less demand for energy then. Having more sun in the evening requires not just less electricity to provide lighting, but reduces the amount of oil and gas required to heat homes and businesses when people need that energy most. Under standard time, the sun rises earlier, reducing morning energy consumption, but only half of Americans are awake to be able to use the sun. This rationale motivated some in California to recommend permanent DST a decade ago, when the state experienced recurrent electricity shortages and rolling brown-outs. Officials at the California Energy Commission estimated that 3.4 percent of California's winter energy usage could be saved by moving to year-round DST. Similarly, DST resulted in 150,000 barrels of oil saved by the U.S. in 1973, which helped combat the effect of OPEC's oil embargo. Critics of DST are correct about one thing: The biannual clock switch is bad for health and welfare. It wreaks havoc with people's sleep cycles. Heart attacks increase 24 percent in the week after the U.S. "springs forward" in March. There's even an uptick during the week in November when the clocks "fall back." If that's not bad enough, a study from 2000 shows that the major financial market indexes NYSE, AMEX and NASDAQ average negative returns on the Monday trading day following both clock switches, presumably because of disrupted sleep cycles. Critics of biannual clock switching sometimes use these points to argue in favor of permanent standard time. However, I think it's important to note that these same sleep benefits are available under year-round DST, too. Plus, standard time doesn't offer the energy or lifesaving or crime prevention effects of DST. Finally, recreation and commerce flourish in daylight and are hampered by evening darkness. Americans are less willing to go out and shop in the dark, and it's not very easy to catch a baseball in darkness either. 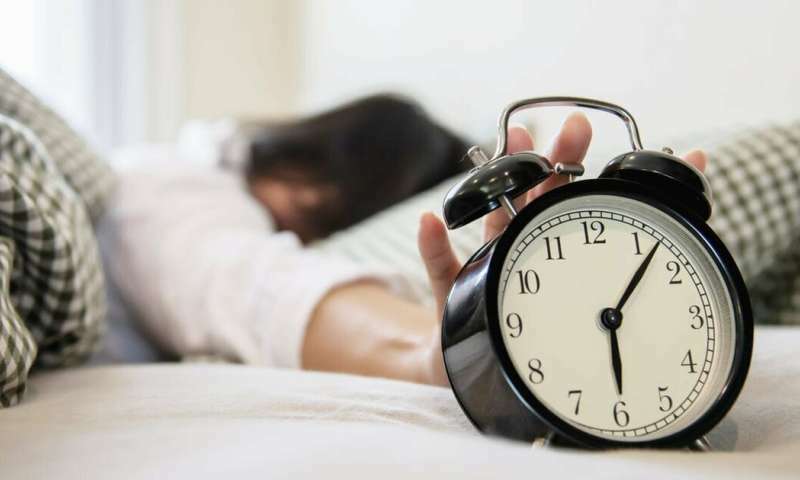 These activities are far more prevalent in the early evening than they are in the early morning hours, so sunlight is not nearly as helpful then. Not surprisingly, the U.S. Chamber of Commerce as well as most outdoor recreational interests favors extended DST. Research shows that sunlight is far more important to Americans' health, efficiency and safety in the early evening than it is in the early morning. That's not to say there aren't downsides to DST – notably, an extra hour of morning darkness. But I believe the advantages of extended DST far outweigh those of standard time. It is past time that the U.S. sets the clocks forward forever, and never has to switch them again.